We recommend you to look for a comforter that provides three essential benefits during sleep: health, body temperature regulation and overall comfort. 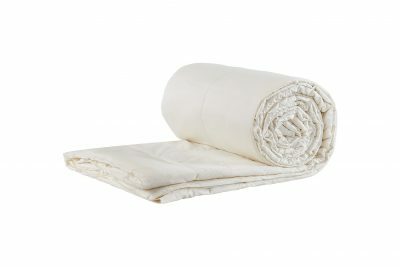 Also, for many of us that are battling skin irritations, rashes, itchy eyes and other allergic reactions related to common materials used in the majority of comforters (polyester, down, etc…), you have come to the right place as all of our comforters are 100% hypoallergenic and specifically produced with you in mind. Regulate body temperature by ensuring the body gets to a comfortable sleeping temperature more quickly and stay there for longer. 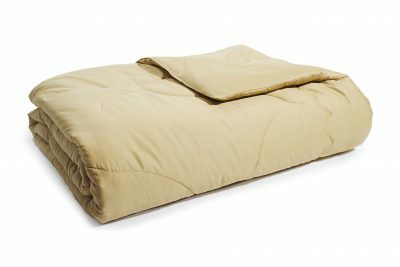 Eliminate the overheating and night sweats common with down, feathers, foam and synthetic fills. Our comforters are filled with 100% pure wool (organic and natural) and we never mix our comforters with synthetics or down filling. 430gsm (13 oz. per sq. yd. of wool fill) is our year round comforter. Great for all four seasons. 150gsm (5 oz. per sq. yd. of wool fill) is our light weight comforter. Great for spring/summer seasons. 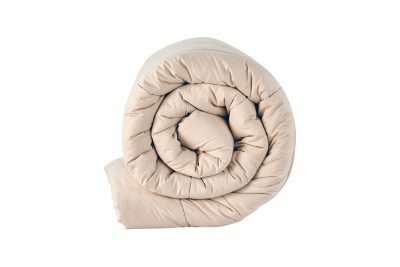 Which comforter is the best for me? We are working on our comforter comparison guide and will be uploading it shortly. Meanwhile, we invite you to get to know each of our comforters a little bit better.